To bridge the gap between the subcultures and bring them together under one banner; to create a safe environment to express your inner imagination without restriction. To overpower you with the throbbing pulse of London’s underground music, while simultaneously being over-stimulated by the outlandish, provocative, sexualised or downright outrageous costumery of fellow Imaginariumists and the decadent spectacle of the array of weird and wonderful performances on our pleasure deck. This is the Starship Imaginarium. 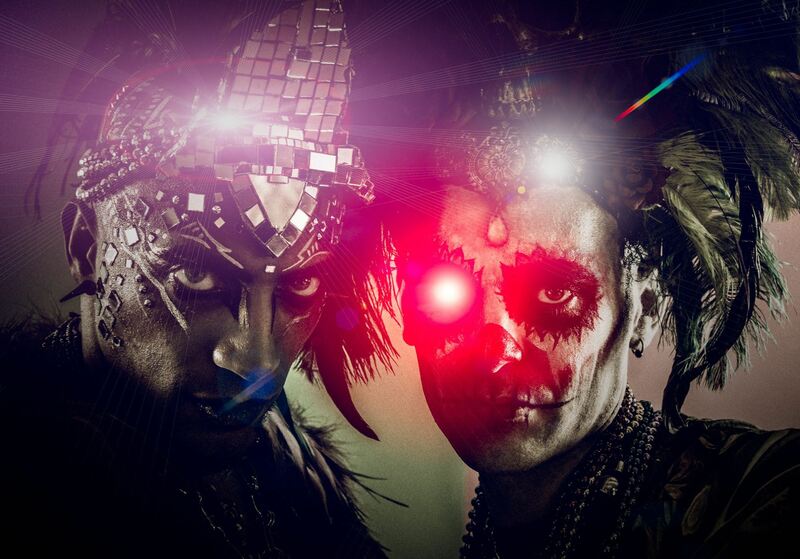 Imaginarium is the beautiful brainchild of Voodootronix and Father Lynch which took physical for the first time at the inaugural event in December of 2011. 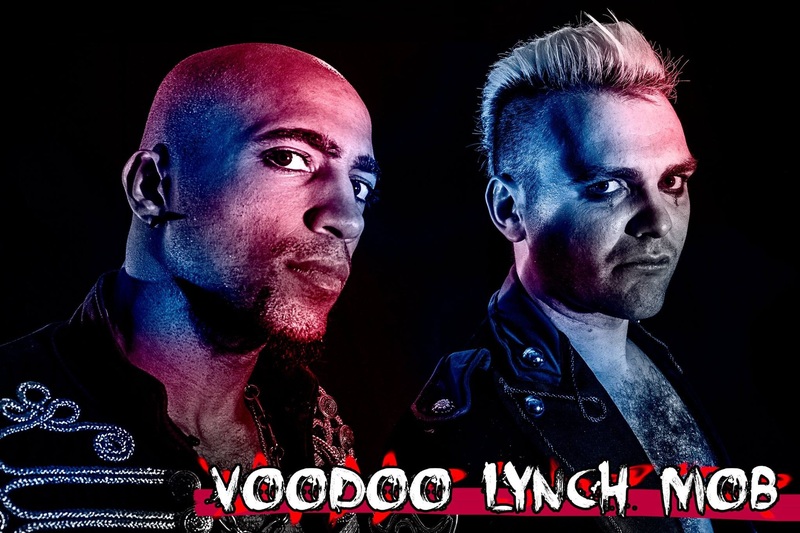 Both Voodootronix and Father Lynch, also known as the swaggeringly named “Voodoo Lynch Mob”, have been out in the world as DJ’s, Promoters and Producers going as far back as the 90’s. Lynch is a veteran in the alternative scene and has partied, played (in the fetish sense of the word) and played (in the more traditional music sense of the word) in many of London’s varied fetish clubs, while Voodoo is a seasoned underground DJ, producer and promoter who was heavily involved with the 491 Gallery and had stints on the free party scene. Both have played in many of London’s top clubs. They had become bored with the segregation of subcultures and music polices the rave/party scenes had to offer and where craving something a little different. A lot of people they knew where already crossing the invisible boundaries between scenes such as festival goers in the fetish scene, hippy kids hitting the commercial raves and goth’s enjoying the odd straight party here and there. Drawing courage from these brave creatures, and determined to make their own mark on the underground, they set out to create a space where party people could indulge themselves in the most outre of behaviour – while still getting the genuinely raw, non-commercial music policies the rave scene is well known. A focus on seriously bass heavy music and skilful, talented DJ’s to provide the sound track for a night of mayhem. Fetish, rave, goth, cyber, gay, straight and all others on the list were to be welcome. They also wanted to combine the concept with stage performances, fashion, art, visuals and installations to give a fully overwhelming experience. For everyone involved to use their imagination as they see fit and enjoy themselves with no limitations on creativity. From this vision, IMAGINARIUM emerged. The first amazingly successful event in December saw this concept come into fruition with over 300 people daring to pass through the doors of Imaginarium. Since then the follow up events in March and June or 2012 saw that number rise astronomically and each event has bettered its self in terms of scope and amazement ever since! Imaginarium has now passed the 5 year mark, and it shows no signs of stopping. To make Imaginarium bigger, better, faster, strong and to boldly go where no Human has gone before.